Alex Beach didn’t want to look at the leaderboard all day. But the 28-year-old couldn’t help but feel confident heading to the final hole, after he went up-and-down on the par-5 17th to make birdie and pull two ahead of Mountain Ridge’s Rich Terga. 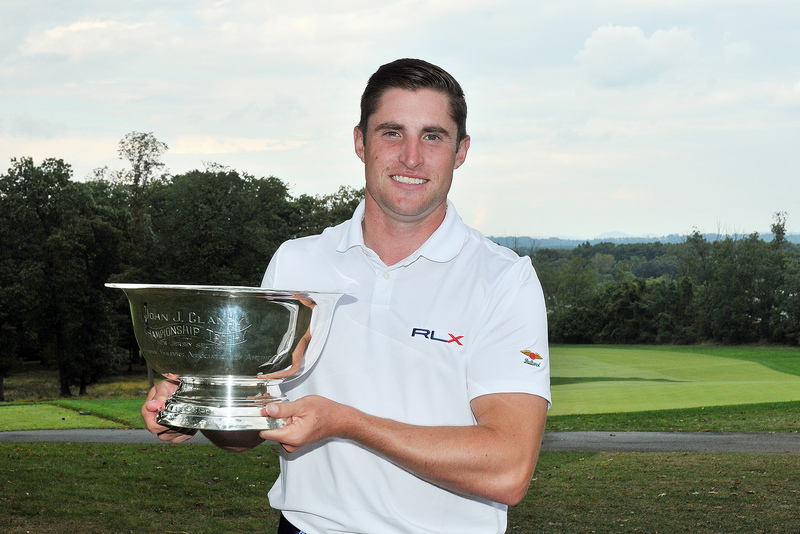 That birdie helped him shoot a 3-under 68 in his final round to successfully defend his New Jersey PGA Championship title. Beach, who finished the week at 4-under, is the first player since Frank Esposito (2010-11) to successfully defend their Section Championship title. Three of his four Section major victories have come at Mountain Ridge (Fall Finale 2015-16). Beach’s victory also builds on his success last month, competing in the PGA Championship at Quail Hollow. Rich Terga, who was tied with Beach for a majority of the final round, finished in solo second at 2-under overall. He shot a final round 71. Terga had the support of his membership throughout the round. Mountain Ridge’s Aaron Asedo and Len Siter, Director of Golf, also made the cut this week and tied for 37th. The 41-year-old Mountain Ridge instructor has qualified for his second PGA Professional Championship, his first since 2014 when he was a member of the South Florida Section. Terga said that his familiarity with Mountain Ridge helped his confidence throughout the week. For Beach, successfully defending his title has given him another chance to earn OMEGA Player of the Year honors. There will be 11 other PGA Professionals joining Beach at the PGA Professional Championship, June 17-20, 2018 at Bayonet Black Horse. Joining Beach is Terga, Sam Kang of Essex Golf Range, Travis Deibert of The Ridge at Back Brook, Due Process Stable’s Brett Jones, Echo Lake’s Pat Fillian, Jim McGovern of White Beeches, Brent Studer of Metedeconk National, Forsgate’s Frank Esposito, Toms River Golf Center’s Marc Issler, Trump Colts Neck’s Bill Britton, and Nick Beddow of Green Brook, who earned the last spot in a 3-for-1 playoff.